On this page you'll find my solo-albums. Just click on the titles for the songs in MP3-format. (C. 2013): Ervanel Records. Produced by Rob van Leersum. All songs written by Rob van Leersum. Eleven compositions for the 12-String Guitar. For recordings Rob used three 12-String Guitars: a Taylor 555-CE, a Taylor 354-CE and a Landola JE-85-12. (C. 2009): Ervanel Records. Produced by Rob van Leersum. Co-produced by Elsa Pruis. 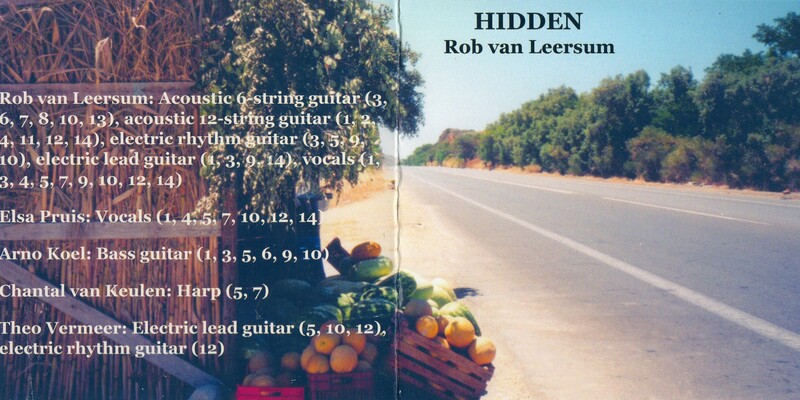 All songs written by Rob van Leersum. PERFORMERS: Rob van Leersum: vocals, 6-string acoustic guitar, 12-string acoustic guitar, electric guitars. Elsa Pruis: vocals, Chantal van Keulen: harp (5, 7), Arno Koel: bass guitar (1, 3, 5, 6, 9. 10), Theo Vermeer: lead guitars (5, 10, 12). For recordings Rob used these guitars: five Taylors (555-CE, 355-CE, 514-CE, 314-CE and T5-S), two Fender Standard Telecasters (USA) and a Squier Silver Series Stratocaster (Japan). The electric guitar amp he used was a Peavey Classic 30. (C. 2000): Ervanel Records. Produced by R. Danny Lodder. All songs written by Rob van Leersum. 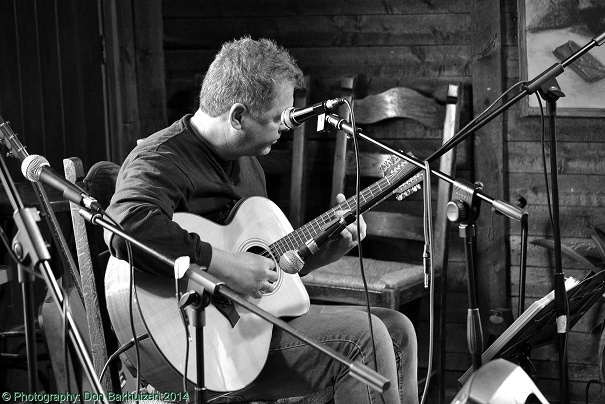 PERFORMERS: Rob van Leersum: Vocals, 6 & 12 string acoustic guitars (1-11). Elsa Pruis: Backing Vocals (3, 4, 5, 6, 7, 10), Tinwhistle (5). R Danny Lodder: Lead Guitar (1,9), Mandolin (2, 5), 5-String Banjo (7), Bass Guitar (9), Backing Vocals (11), Luuk Hoekstra: Bass-Accordion (7), Accordion (10). For recordings Rob used these guitars: a Martin D-1, a Gibson Mark-72 and a no-name twelve string (borrowed from R. Danny Lodder for Rob forgot his Sigma on the day of recording Sunlight Overture). (C. 2020): Ervanel Records. Produced by Rob van Leersum and R. Danny Lodder. All songs written by Rob van Leersum. For recordings Rob will use these acoustic guitars: a 12-string Taylor LKSM/E, a 6-string Taylor 314-CE and a 6-string baritone Walden B1-E.